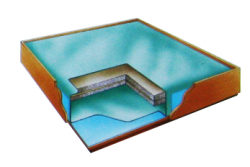 Clipper Mattresses are available in all sizes and levels of support, and are ideally suited to Soft Sided and Timber Framed Waterbeds. 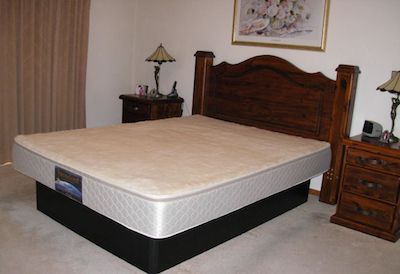 We help you choose and install the waterbed mattress so that you will achieve the ultimate comfort/support and benefits that the Waterbed Sleep System provides. 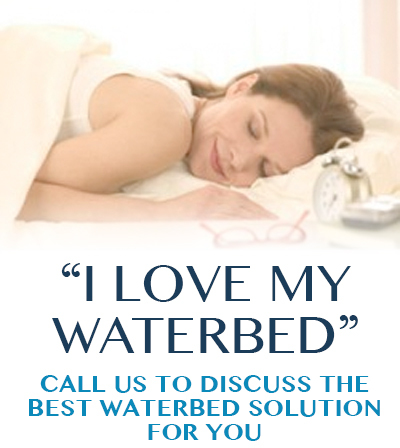 All our products can be professionally installed to achieve the ultimate comfort and benefits of the waterbed. 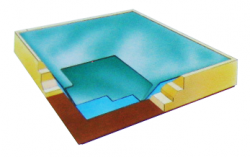 We also have a range of other waterbed parts and accessories listed below. 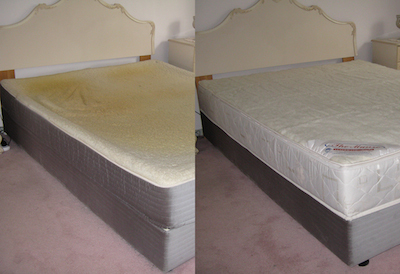 This full motion mattress features a remarkable three-dimensional design to provide comfort and support. 100mm (4 inches) of ultra-soft polyester fibre forms an effective internal support and wave reduction system for firm yet healthy flotation. 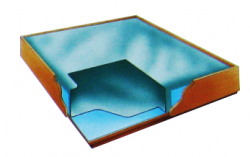 150mm (6 inches) of ultra-soft polyester fibre provides increased wave reduction while retaining the maximum flotation comfort of the mattress. 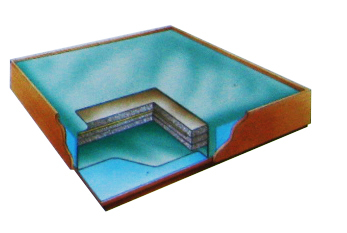 The Castaway water mattress provides an almost motion-free sleeping experience that moulds around the contours of your body. It provides a unique level of support and the internal fibre stabiliser has a Cushion-Top made of “Fingers of Foam” that have been bonded to the fibre to gently but firmly provide support to your body. The Castaway L (for Lumbar Support) gives the ultimate motion-reduced sleeping surface. 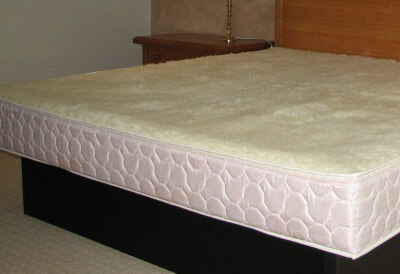 It contours around your body, eliminating pressure points and offers extra support in the lumbar region of your body. 300 watt Carbon Classic Heaters that suit Soft Sided & Timber Framed Waterbeds. 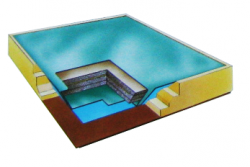 Safety Liners that suit Soft Sided and Timber Framed Waterbeds in all sizes. Woollen Underlays are machine washable fitted underlays for Timber Framed Waterbeds with a stretch material skirt that tucks in to keep it in place. Soft Sided Covers/Casings complete with machine washable zip off woollen covers and quilted sides are available in all standard sizes. I have a back issue that causes me pain at night and called Colin in desperation having tried several beds, mattresses and overlays with no success. He came out the same day and installed a waterbed for us to ‘try before we buy’. From that first night I have had pain free, blissful sleep. Copyright © 2014 A.Aarons Waterbed Centre | Melbourne Waterbed Sales – Services, Repairs, Removals Email: chenry@iprimus.com.au | Phone: 0418 379 892 | ABN: 25 006 650 782 | Address: 35 Fairlie Avenue, Macleod.